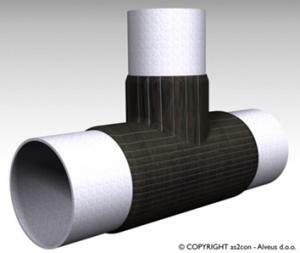 Croatian company as2con has been awarded a €0.6 million grant from the European Commission’s Horizon 2020 innovation and research programme to demonstrate and commercialise the use of carbon fibre reinforced repair technology for damaged ship pipes and structures. The two-year COMPA project (Composite Repairs for Ships: Service Demonstration, Certification and Market Entry) started in the beginning of March 2018. The grant will help as2con to demonstrate the quality of COMPA technology through laboratory and onboard tests, to receive certificates from major maritime classification societies and finally, to license the technology. 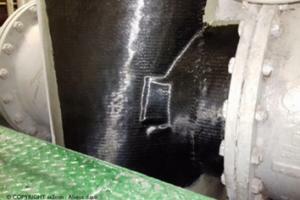 COMPA pipe repair offers the possibility of a cost-effective alternative to the traditional method of repair of crack and corrosion damages in ship structures and pipes that occur frequently on various types of vessels. Total economic benefits of a COMPA repair over traditional methods are thought to be considerable. Costs of COMPA are said to be up to 10 times lower than the costs of traditional methods of repair of steel cutting, inserting and welding. Additional advantages of the technology include eliminate of the necessary for hot-work onboard the ship, applicability to complex structures, shorter repair time, lower added weight and reduced maintenance. The market size and value of COMPA type repairs is estimated to be more than €1 billion. COMPA pipe repairs have been proven in operational environment in 12 applications on-board vessels providing a useful and reliable solution for pipe corrosion and crack problems. The market study will help to develop ways to further speed up the commercialisation process. The total market for the repair is estimated to be 87,000 vessels world-wide, of five-years of age and more, each experiencing cracks and corrosion damages on a yearly basis. The primary market of the vessels operating in European waters is about 35% of the total number. In 2010, as2con was also part of a consortium of 15 organisations from eight European countries that received funding under the European Framework Programme (FP7) for a three year project on Composite Patch Repair for Marine and Civil Engineering Infrastructure Applications – CO-PATCH.